day). And of course it would not be the Braves without another new closer. mark is the bullpen, where Leo Nunez may or may not succeed. Chamberlain, and if some Japanese team will take Luis Castillo off their hands. and the bullpen looks to be sketchier than a year ago. replacement. Why not skip the first step? Nationals – but only a few. LEAGUE PREDICTIONS: As mentioned, I like the Braves, Reds and the Rockies for the division titles. The Wild Card would seem to be a battle between the Phillies and the Giants – I really like San Francisco’s rotation, and I really do not like Philadelphia’s chances of getting through another season without physical calamity. So let’s assume the Rockies finish with the best record – they should handle the Giants, and the Braves’ experience should make them favorites over the Reds. An Atlanta-Colorado NLCS? 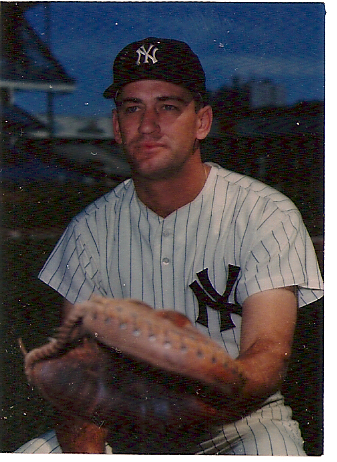 I think the Rockies win that one, as much as I’d be rooting for the man I always greet as the guy the Braves once traded to the Yankees for Bob Tillman, who had been traded to the Yankees for Elston Howard, meaning Coxy was as good as Elston Howard….